Chaos have worked with top 4 financial services firm EY since 2013. As a rostered agency, Chaos undertake a variety of projects day-to-day across multiple teams, markets and disciplines - from external literature and websites through to internal communications and HR initiatives. The results speak for themselves, with engagement almost three times that of other internal campaigns. For this work, Chaos was delighted to collect the trophy for winner of best internal comms campaign at the B2B awards for the campaign. Appointed to create a three-phase Risk Management campaign, Chaos was challenged to enthuse, influence and inspire people in respect of how non-adherence to Risk Management impacts individual and corporate reputation. Chaos combined the creative with hard-hitting ‘sting in the tail’ messages to stop people in their tracks, stop them being ‘box tickers’ and make them think before they act. The campaign ran across three phases. Each phase focussed on a different area of risk management. Chaos have been working with EY FS on their Diversity and Inclusiveness agenda since 2016. 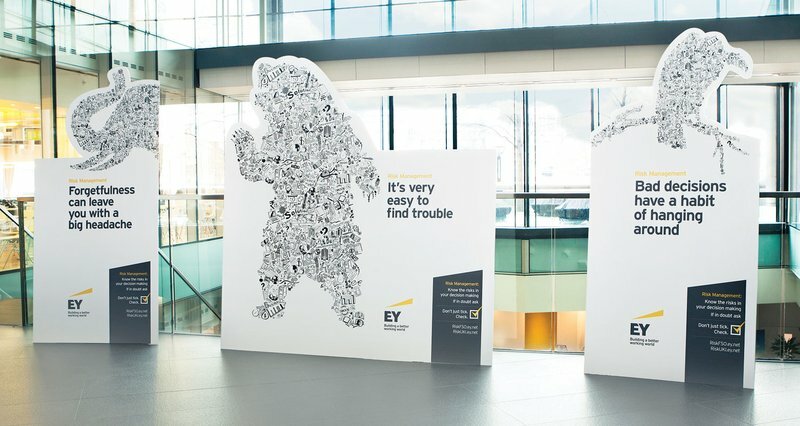 EY needed an ownable visual style which could be used to underpin all of their D&I comms. 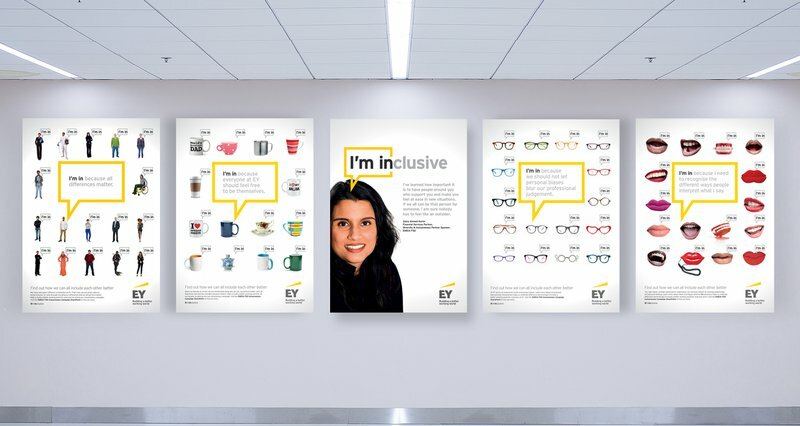 Using "I'm in" as a graphical lock up not only reinforces EY's commitment, but also encourages EY people of all levels to make their commitment to being part of an inclusive culture and to help drive awareness and change in this area. Chaos continue to develop compelling comms using "I'm In" at the core. EY's report highlights their achievements and ongoing commitment to driving sustainable growth in economies worldwide. Chaos proposed a move away from the existing substantial printed report, by moving the main content online and printing only an executive summary. We designed an interactive pdf using intuitive digital interaction to help readers navigate around the content easily, with visual infographics to highlight core statistics. This finished report was dynamic and distinctive. "I wanted to say thank you for all the great work you’ve put into our Sustainability Report. Since it launched we’ve received amazing feedback at a scale we’ve not experienced in previous years." 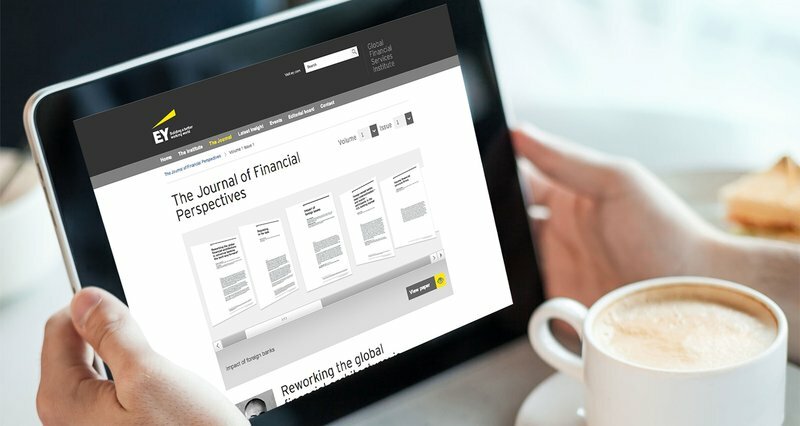 Chaos designed and built the new Global Financial Services Institute website. The Institute is a renowned hub and focal point for globally influential thought leaders and practitioners. We proposed a new visual language, site structure and other engagement methods that could be carried across the site and create significant impact with the desired C-suite audiences. 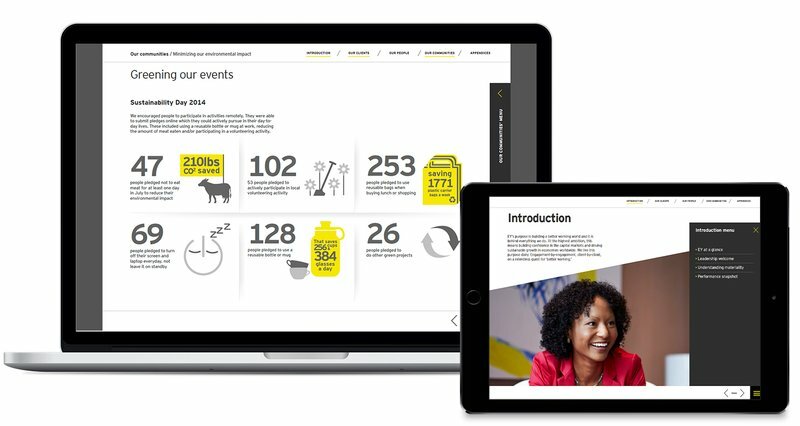 All to encourage further interaction, site traffic and ultimately improve EY’s reputation as thought leaders globally. 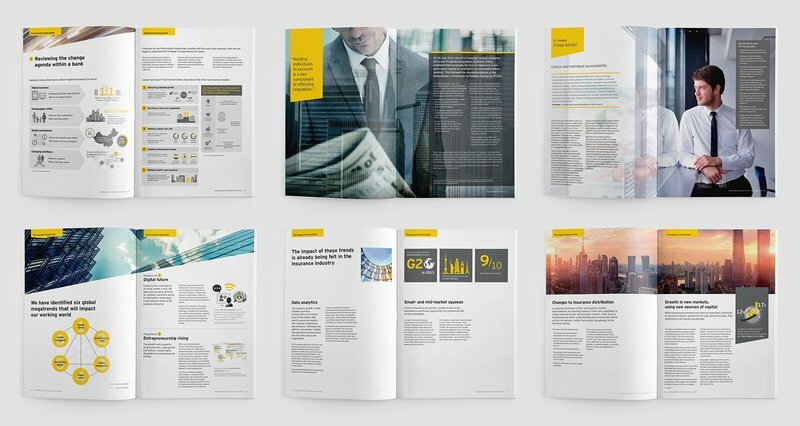 As a rostered design agency to the EY EMEIA business for over three years, we design and produce a number of high-profile marketing communication pieces for the financial services firm. 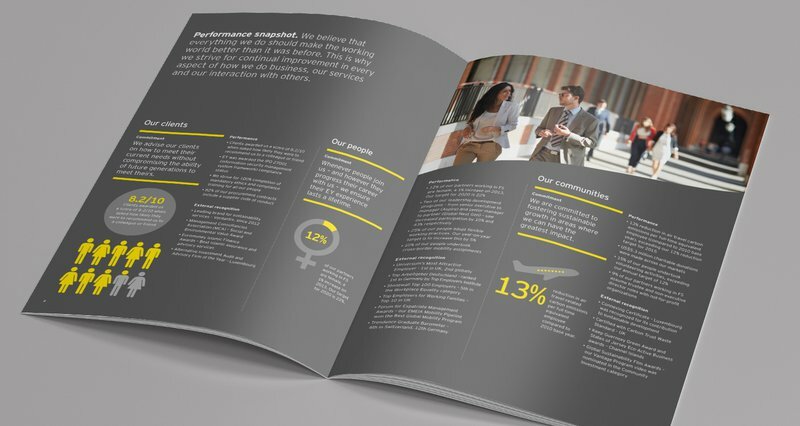 From presenting high-level strategic information to creating literature and research reports, we have helped our friends at EY to enhance their reputation.